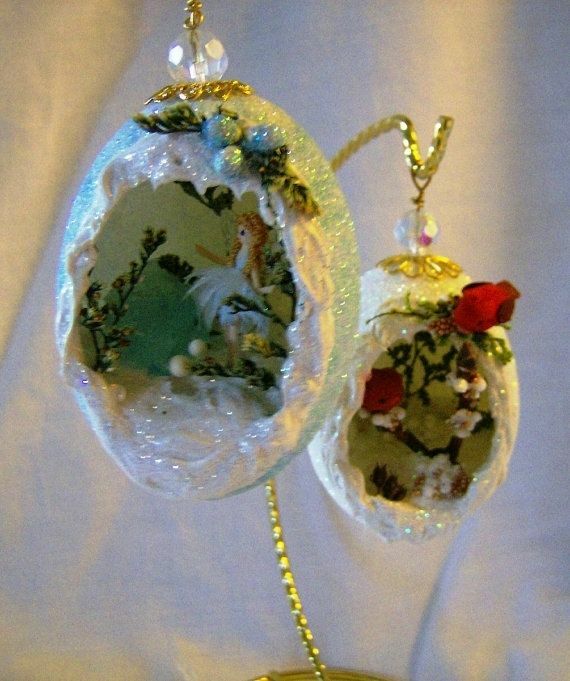 This beautiful egg ornament can be created in many different styles. From angels to birds to santa statues - each egg is customized just for you. Available in different sizes using duck, goose (for ornaments) and goose, rhea, emu and ostridge (standing decorations). Contact me and let me create a special keepsake for you!